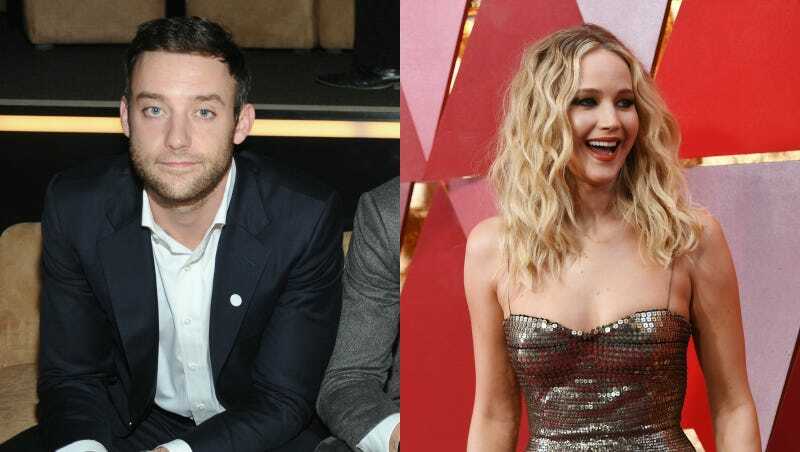 “The Hunger Games” star is dating a dashing New York art gallerist named Cooke Maroney. He is director of the Gladstone 64, a very nice looking gallery. He was introduced to Lawrence by her friend Laura Simpson. “The relationship has been going on a few weeks,” according to a Page Six source. Once, he stood next to this yellow sculpurette with Gagosian Gallery head Adam Cohen. I share one (1) mutual friend with him on Facebook. He (or another Crock McHenry) received a “special thanks” in Grand Theft Auto V.
So mazel to you, Crack McHaha, and mazel to you, Jennifer Lawrence. I honestly think you guys will have fun and seem nice, if rich.